Rotary has a new online way to recommend changes to policy and rules. The Council on Resolutions is a separate governing body that will meet online every year. It will review resolutions sent by clubs and districts to the RI Board. At the 2016 Council on Legislation in April 2016, a new annual Council on Resolutions was approved. The first one will meet in 2017. The Council on Resolutions is a separate governing body that will meet online every year. It will review resolutions sent by clubs and districts to the RI Board. This leaves the next triennial Council on Legislation in April 2019 to deal solely with proposed enactments. Proposed enactments seek to change Rotary’s constitutional documents - the RI Constitution, RI Bylaws, and the Standard Rotary Club Constitution. If approved by the COL, enactments become effective July 1st of the following Rotary year. Proposed resolutions express opinions and make recommendations to the Board. They do not seek to amend RI Constitutional Documents but other RI policies, procedures and programs. If approved by the COR, proposed resolutions are referred to the RI Board for consideration. Every district designates a representative to the Council on Resolutions - PDG Ken Wilson has been selected as the representative for District 5040 effective July 1st 2017. If a club or district is considering proposing a resolution for the 2017 Council on Resolution, resolutions must be received by Rotary International on or before 30 June 2017, including the governor’s confirmation of endorsement. There are no exceptions to the deadline. A resolution proposed by a club must be voted on, or endorsed, by the clubs in the district at its district conference, a district legislation meeting, or through a ballot-by-mail, before it can be submitted to Rotary. 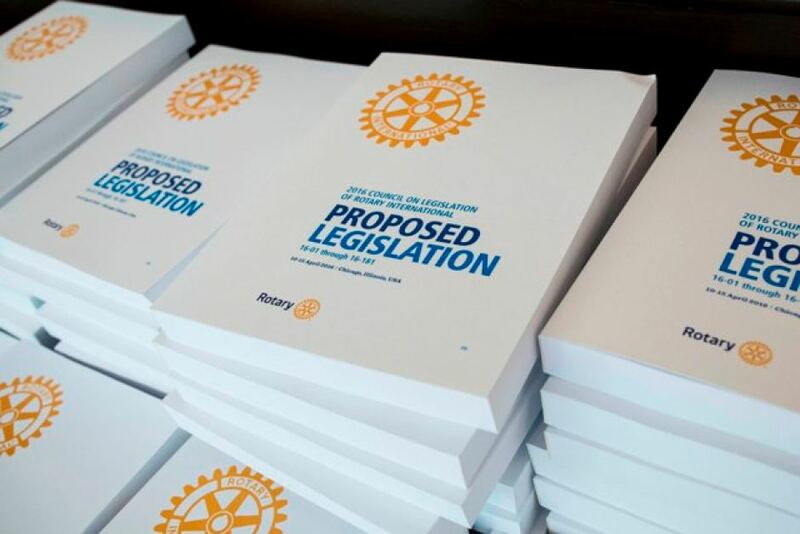 Please go to www.rotary.org to the Council on Legislation page and specifically the document 2017 Council On Resolutions: How to Propose Resolutions for more information on drafting, endorsing, confirming and submitting a resolution. PDGs Ken Wilson and Penny Offer, the current COL Representative are available to work with Rotarians and clubs to propose resolutions. This is an opportunity for clubs to propose ideas for change that will impact the Rotary world.